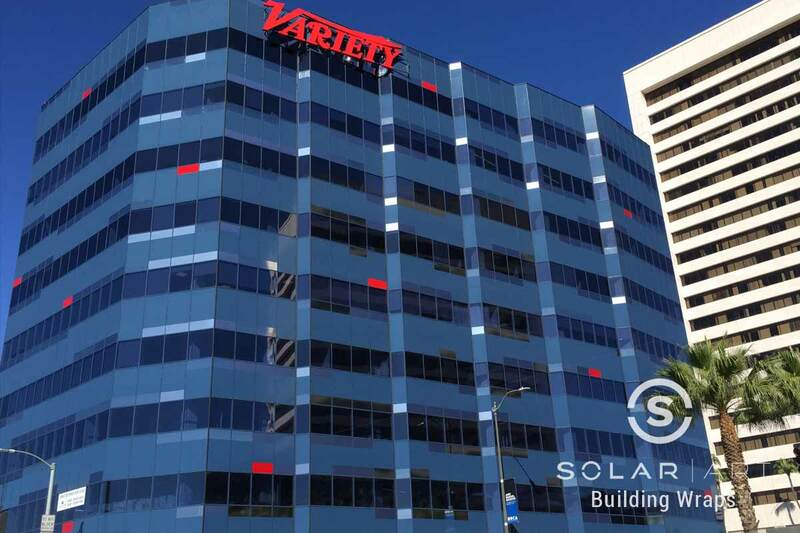 Solar Art installed a building wrap to the Variety Building in Santa Monica, California! Before the building wrap was installed, the building had an outdated green glass. The green glass made the building look old and was an eyesore. The customer was looking to have a new and modern window film to be installed to completely transform the look of the building and be one of the best looking buildings on the block. 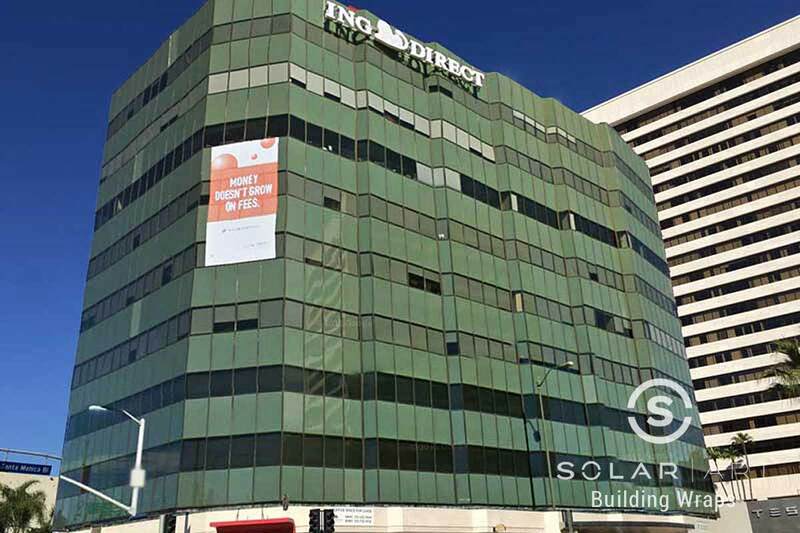 They reached out to Solar Art to see what their options were when it came to having a building wrap installed. After working with our sales representatives, the customer decided to have blue window tint installed on the exterior of all the vision glass as well as 3M window vinyl on the spandrel glass. Various colored accent window vinyls were also installed to really transform this “green monster” into the blue beauty it is today! In addition to transforming the look of a space, building wraps also significantly reduce heat, reduce glare and block 99% of UVA and UVB rays! The customer was very pleased with the way the installation turned out. The building looks completely different and it has great curb appeal which could bring in potential customers or tenants.This customer decided to have blue window tint installed, but that’s not the only option! Window film comes in several different shades that have different performance. If you aren’t sure what kind of window film you are looking for exactly, our sales team will be able to help guide you in your decision making process! In addition to building wraps, Solar Art also installs solar film, decorative window film, anti graffiti film, security window film and custom graphics to both residential and commercial settings. If you are interested in a window film installation for your home or commercial space, contact Solar Art today for a free quote! Interested in Exterior Building Wraps? Building wraps are an easy and affordable way to transform the look of a building and make it more sustainable. Contact Solar Art to learn more!